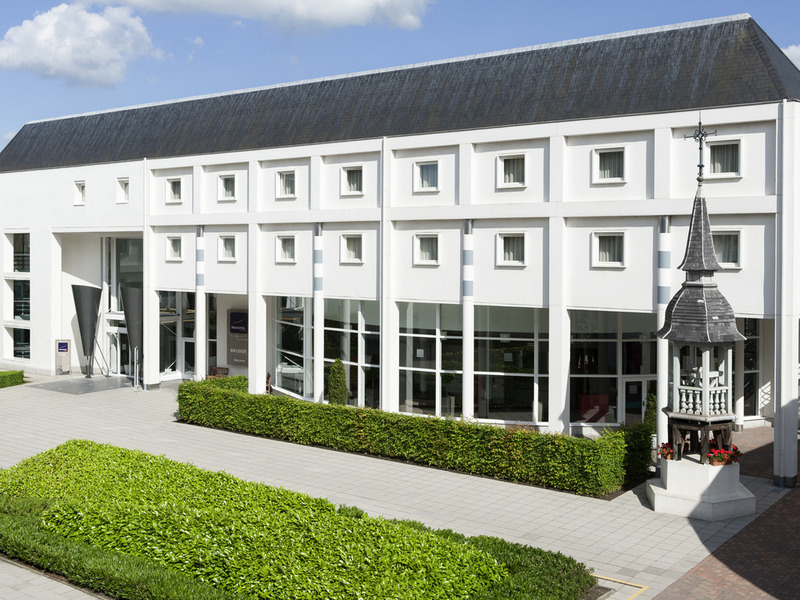 Feel welcome at Novotel Brugge Centrum at the perfect location in the city center of Bruges. Everything is within walking distance so you are free to explore the city. Enjoy the heated outdoor pool and relax in the spacious rooms and free WIFI. Discover the rich history of Bruges and relax in the comfortable family hotel Novotel Brugge Centrum. The hotel is located right in Bruges' city center with all iconic attractions within walking distance. The beautiful medieval Belfry is just a 10-minute walk from the hotel. Enjoy a drink in our stylish bar or next to our pool at our terrace. After exploring Bruges, relax in your spacious room, which is the ideal retreat for you and your family at Novotel. Spacious, contemporary in design, and adaptable describe the rooms at Novotel Brugge Centrum. The hotel room is truly a place for living and perfect for all your needs. All the rooms offer a welcoming and modern atmosphere. The rooms are equipped with air conditioning, telephone, safe, TV, minibar and free WIFI. Welcome in our modern and cosy Gourmet Bar, for a snack. It is a meeting place and a place to sit back and relax. Our enthousiastic team awaits you! We welcome you in our trendy and cosy bar, where you can watch your favorite sport on large screen. موقع ممتاز قريب من الساحة مشي تقريباً عشر دقائق ، يوجد سوبرماركت قريب جداً ، صالون حلاقة رجالي قريب جداً ، حديقة استراحة وقعدات حلوه ، المنطقة جميلة جداً يكفي 3 ايام بالكثير ، باركن سيارة ممتاز وماتحتاج سيارة ابداً وانت في بروج ، طريقة الدفع عن الباركن سهلة جهاز للدفع كاش ابو بطلقة ، الفندق بسيط ويؤدي الغرض عيبه مثل معظم الفنادق في اوربا تكرمون الحمام والشطاف. الافطار عادي ولاتوجد خيارات كثيره لنا نحن العرب ، توجد العاب بسيطة وحلوه الاطفال ، طريقة الدخول سهله ، دفعت طريبة المنطقة تقريباً 16 يورو.